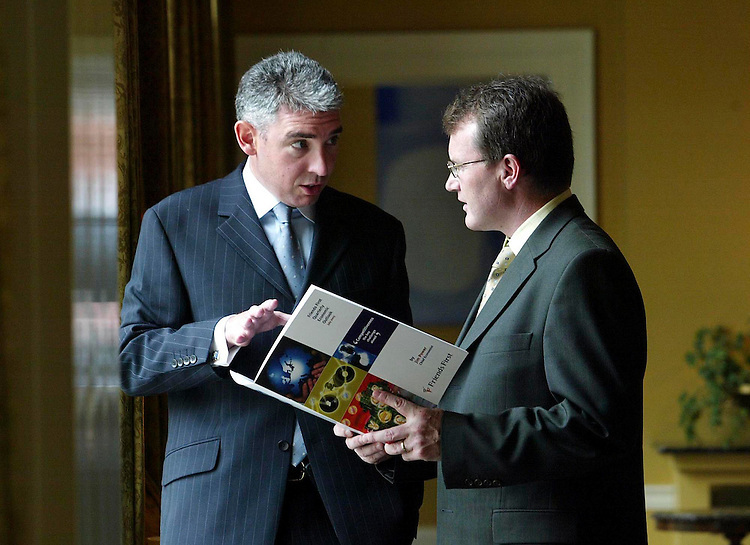 John Cunningham, Friends First General Manager Group Planning & Marketing (left) and Jim Power, Friends First Chief Economist, pictured here today at the launch of the Friends first Quarterly Economic Outlook entitled " Competitiveness - The Key Challenge Ahead" held in the Merrrion Hotel, Dublin. Pic. Robbie Reynolds. .